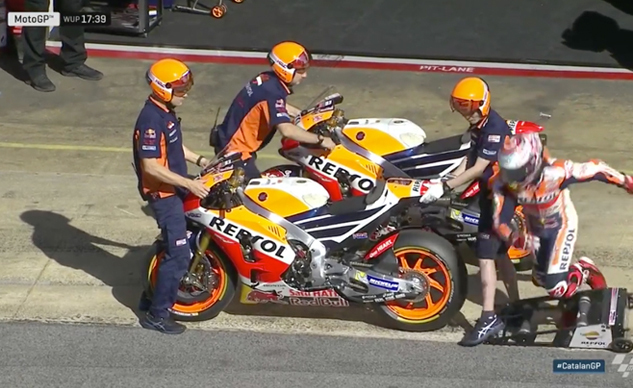 Marc Marquez inadvertently took a tumble during warm-up at the Catalunya MotoGP. No one’s fault, really, but we bet that jack-man was fearful of losing his job after it happened. Fortunately Marquez was a good sport about it, mimicking his fall again during the podium celebration. See both videos below.